Animals have always been a big part of my life. My first dog as a child was a red Doberman named Duke that I competed in obedience trials with. Back then, it was standard to teach dogs using force (do this or I’ll hurt you methods). Even at 11 years old, and in defiance of those who were teaching me ‘how to train my dog’, I refused to hurt my best friend. My kind methods of training paid off, out of a possible 200 points, we consistently scored 199 and 199 1/2 in competitions. Duke was my best friend and he was treated with respect; he returned the love ten fold. At 15, my parents bought me a horse for my birthday. I went from showing dogs to showing horses. My respect of animals continued with my horses; I had the number one Quarter Horse gelding (neutered male horse) in the State of Kentucky for several years. 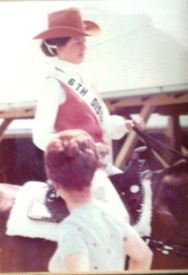 I went to college on a horsemanship scholarship; taking three horses with me to school. A friend teases me that ‘normal’ girls go to college with three hair dryers, I preferred three horses. Down the road a few years, at 27 years old, I started my own business, The Pet School in Louisville, KY. The Pet School was a dog obedience school that did things differently; I taught basic obedience lessons for house pets. Within a few years I added a boarding kennel to my business. Using the same logic I always had with my animals, I wanted a kennel to be different than what was offered at the time; a facility that kept the dogs and cats safe, but that was as close to home as possible. I’m proud to say that my kennel was the very first all indoor/all suite pet boarding facility in the U.S. Every ‘room’ had a window, and every pet got to play each day during their stay. 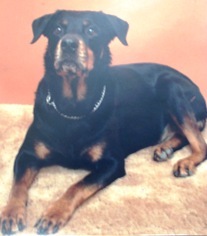 My number one assistant, was Sam, a female spoiled rotten Rottweiler. I’ve been blessed with many special animals in my life, Sam was one of the extra special dogs. She was commonly a headrest for my children growing up. And, she worked with me every day, being the ‘demo’ dog in all my obedience classes. She had a sense of which dogs were intimidated; she’d wiggle over to them trying to calm their fears. Alternatively, if another dog attempted to be a little bossy with their classmates, she quickly let them know she was top dog in the classroom. When Sam was eight years old, I noticed a lump on her pelvic area. A trip to my trusted Veterinarian showed it was bone cancer; I had two weeks to tell her good-bye. The worst news was the veterinarian I had known and trusted since I was a child, told me the probable cause of Sam’s cancer was from the chemical preservatives in her food. The food that I gave her. I couldn’t believe what my veterinarian, Dr. Bruce Catlett, was telling me. This dog food was the number one pet food in the U.S.; it was a ‘trusted’ company. What I did next, changed me forever. Dr. Catlett told me that these chemical preservatives were (and still are) added to pet foods to extend their ‘shelf life’; to keep them fresh for longer periods of time for retail purposes. In 1991 I made my first phone call to a pet food company; I asked them what the shelf life was on this food. I’ll never forget it – they proudly told me the dog food would “stay fresh for 25 years”. That’s more than three times as long as my dog lived. The chemical that killed Sam – was ethoxyquin; it is still commonly used in many dog foods, cat foods, and pet treats. The pet food company that killed her, is still one of the top pet food companies; although they no longer use ethoxyquin in their foods, they use many disease causing ingredients including dangerous chemicals. Sam’s death changed me forever. From that day forward, I have studied pet foods, pet food ingredients, and the regulations that govern them. In 2006 I started TruthaboutPetFood.com hoping to share information I learn about pet food with others. And how did the ‘Caped Crusader for Safe Pet Food’ get started? A few years into advocating for safe pet food, a dear friend gave me that name and it stuck. My youngest daughter drew the Caped Crusader image. But TruthaboutPetFood.com isn’t just one person – it’s thousands of people who work together helping to make pet food safe. The brightest veterinarians and scientists, along side of thousands of determined petsumers – we are all part of the TruthaboutPetFood.com team.